The Emovyz platform uses visual cues coupled with personalized customer journeys to transform the traditional text-based customer feedback process into a visually appealing emotional engagement experience. Emovyz leverages API management, identity management and complex event processing capabilities of the WSO2 solution stack, to provide auto-scaled multi-tenanted APIs, converge heterogeneous data streams, and analyze them in real-time to execute multichannel engagement and integrate with enterprise solutions in a secure manner. 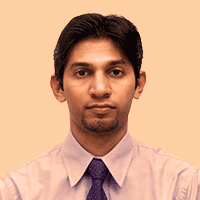 Lahiru is a technology professional with 15 years of industry experience having worked in Sri Lanka, United States, United Kingdom, Australia, and India, in various roles and capacities in both leading product engineering companies as well as software solutions service providers globally. 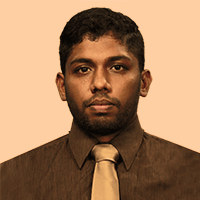 He is currently heading client services at Emovyz, where he is responsible for its rapidly growing global clientele. He was holding a similar position at Pearson before joining Emovyz. He is a News Anchor when he is not running around in his day job of making quality software and satisfying clients. Andun is a co-founder of the Emovyz and is leading the engineering efforts of the Emovyz platform middle-tier. He has also led successful enterprise integrations in USA, Australia, and Sri Lanka. He is an active member of many FOSS communities.